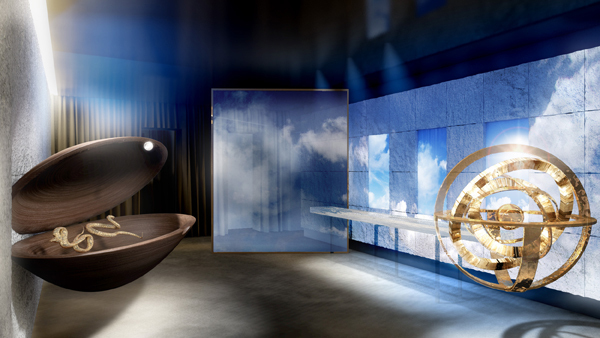 During the second edition of Paris Design Week, AD magazine will present Interieurs 2012, Voyages Imaginaires at French auction house Artcurial. Running 8 - 21 September, the exhibition will show the work of 13 interior designers, each tasked with providing their own interpretation of escapism through the decorating of one room. French decorator Jean-Louis Deniot has created a whole room from the pattern of an African fabric. Graphic constructions and optical illusions are created through the repeat of the pattern all over the room, in small scale on the walls and oversized on the floor. 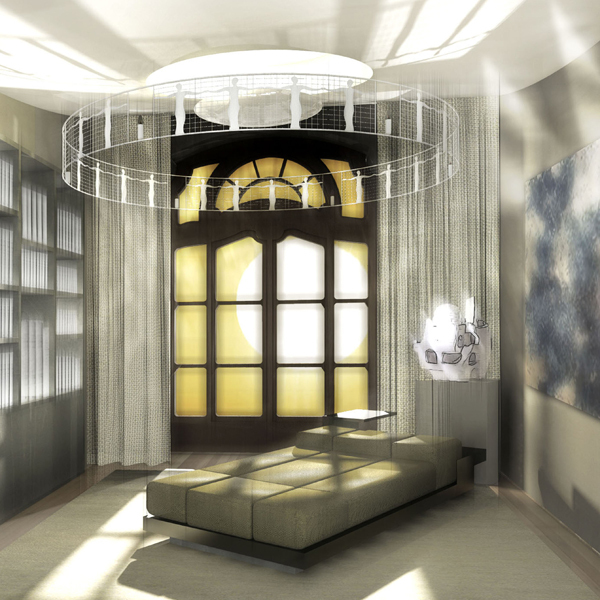 The lines of the drawing determine the structure of the furniture, floor lamps and artwork, as well as the architecture of the ceiling's giant lighting construction. An allegory to the passing of time, The dream-like library is lit by the sun rising and setting in fast-forward. Architect turned interior architect Charles Zana wanted the room to feel like the den of an erudite art collector, and has filled it with a clever selection of sculptures, portraits and furniture by contemporary designers. Fog-like colours that summon up images of Normandy's beaches make up this surreal bathroom by Parisian interior designer Bruno Moinard. 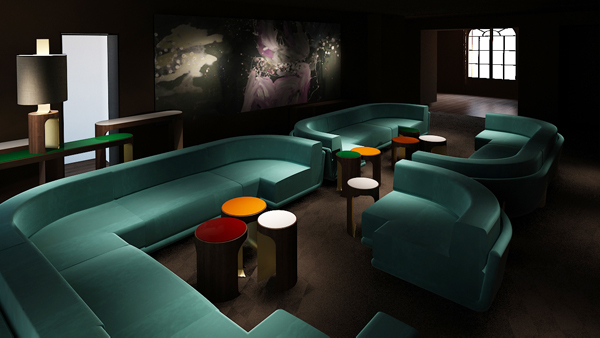 Moinard has chosen graded carpeting to stand for the rising tide and a glass console to embody the horizon, while moving projections on the walls create the rest of the atmosphere. 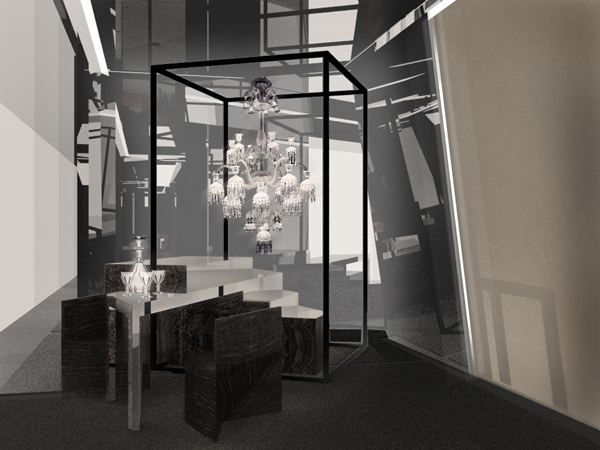 New York-based designer Rafael de Cárdenas chose to present two metallic cages enclosing Baccarat chandeliers as well as a desk/dining space and a lounge/bedroom space. 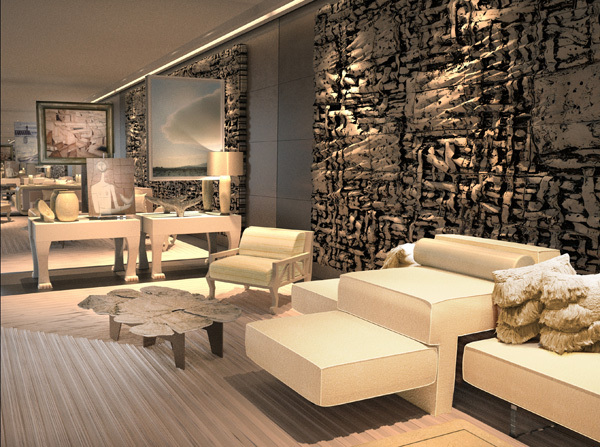 The walls and ceilings are covered in mirrors that reflect the light and create a ghost-like atmosphere in the room. 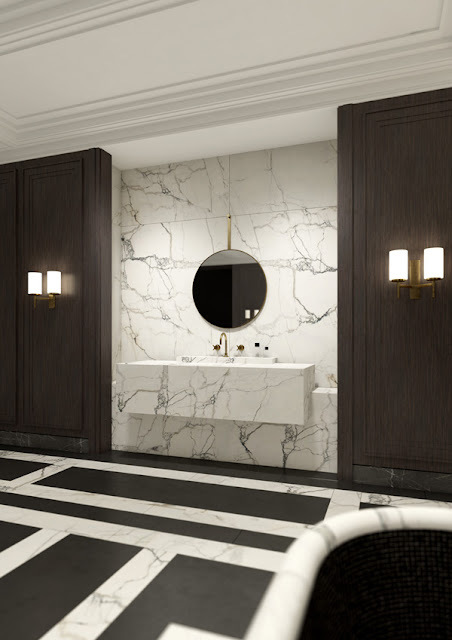 The neo art-deco bathroom by Joseph Dirand combines ebony panelling, marble walls and white gold shower tiles, in a tribute to French savoir-faire and craftsmanship. 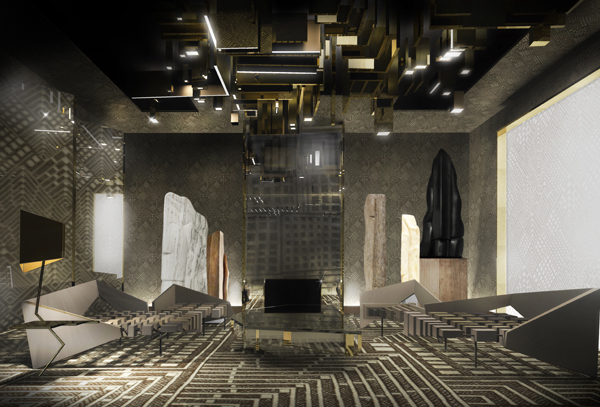 Other highlights from the exhibition include Rose Anne de Pampelonne's Eclipse chambers, exploring the contrasts between mineral and vegetal; Chahan Minassian's Californian lounge, promoting works by American designers; Thierry Lemaire's Sofitel lounge, evoking the art-de-vivre à la française seen by Sofitel; Francis Sultana's Parisian living room, which reflects his views on Parisian exoticism; as well as other projects by Pierre Yovanovitch, Dimore Studio, Vincent Darré and François-Joseph Graf.